A track suit for boys with big goals. 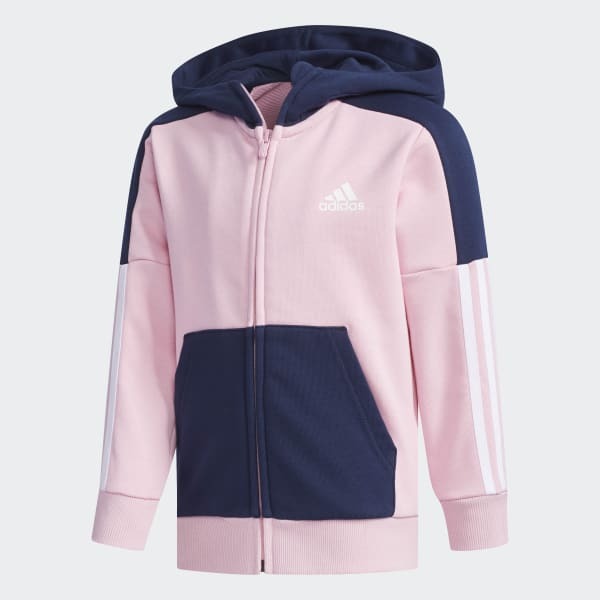 This kids' track suit is built to keep active boys cosy on the playground. It features a jacket and matching pants, both cut for comfort in soft French terry. The tapered pants have ribbed cuffs for a stay-put fit while the hoodie features a kangaroo pocket for warming up small hands.